PORTLAND, OR -- Two Oregon high school wrestling coaches, lifelong friends, are dead in an apparent murder-suicide and the body of a teenager who was last seen alive with one of them was also found, authorities said. Kenneth Valdez, 45, was killed in a bedroom Thursday morning at his home in Hermiston, a northcentral Oregon city of about 17,500 near the border with Washington state. Jason Huston, who volunteered along with Valdez as a wrestling coach at Hermiston High School and was also 45, was found dead in the bedroom from an apparent self-inflicted gunshot. A 35-year-old woman, Andria Bye, was also found shot in the same bedroom and was taken to a hospital for treatment. 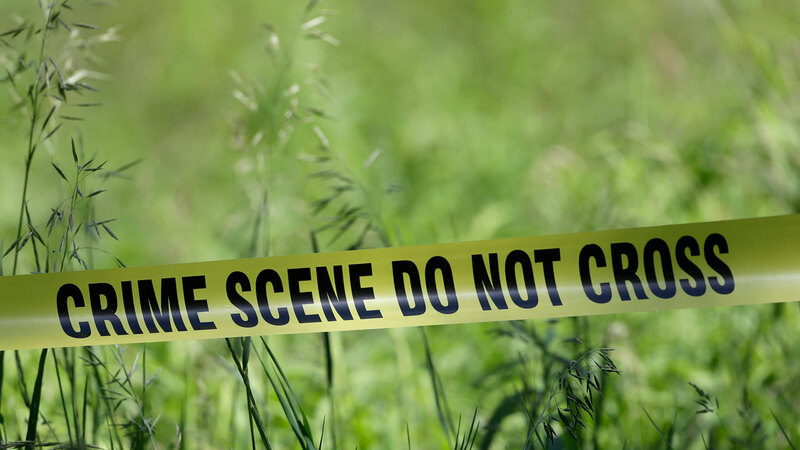 The woman's son, 14-year-old James "JJ" Hurtado, was found dead from a gunshot wound in a remote area west of Hermiston on Thursday night. The Umatilla County Sheriff's Office is handling the investigation into that homicide. Sheriff Terry Rowan said Friday that he doesn't have a motive for the slaying and "would hate to even speculate." The boy had been missing since Thursday morning, when police say Huston picked him up at 10 a.m. to play disc golf. He was found in a wooded area adjacent to farmland along the Umatilla River, Rowan said. The shootings at the Valdez home happened at about 11:15 a.m. Thursday. Hermiston Police Chief Jason Edmiston said the boy's mother gave a detailed statement to investigators at the scene and a detective was doing a follow-up interview at the hospital Friday. "The three parties in the house all knew each other, and there were relationships between all three of them involved," Edmiston said. Huston, he said, was a "father-like figure" to the boy. "Clearly this was a selfish choice that was made," he said. "All of us are just numb that he chose to do what he did." Huston was arrested in December 2009 on charges of menacing and unlawful possession of a firearm. He pleaded no contest to the gun crime and the menacing charge was dropped. He was sentenced to probation and 20 hours of community service. Hurtado was due to start his freshman year at Hermiston High on Aug. 29, school district spokeswoman Maria Duron said. The school has been a wrestling powerhouse for the past decade. Both Valdez and Huston wrestled for the team when they attended the school. Valdez had worked as a volunteer coach since 2013, and Huston became a volunteer coach a year later, she said. "These gentlemen grew up in the wrestling program, so they've been in the community for a long time," Duron said. Counselors and psychologists were at the high school Friday to speak with grief-stricken students and staff.